Mickey's Memorial Golf Tournament, which has been raising funds for music scholarships since 1996, is coming to Huntsville, and just in time to help the growing music enrollment. In previous years the tournament has been held in Conroe, but this year's tournament is scheduled for June 25 at the Raven Nest golf course. Entry deadline is June 17. The event is a four-person scramble and is scheduled to begin with an 8:30 a.m. shotgun start. Players may enter as members of teams or individually, to be placed on a team. The entry fee of $99 per player includes practice balls, cart, refreshments and lunch. Sponsorships are also available at $100 per hole, with advertisements on a tee box, and $99 to sponsor a music/student golfer as a "designated hitter." 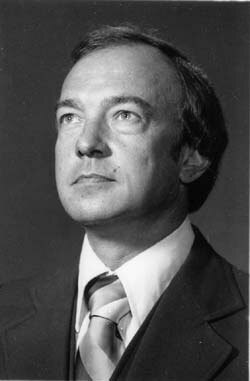 The tournament is held in honor of the late music professor-composer Fisher A. "Mickey" Tull, distinguished professor of music at Sam Houston State University. Charlotte Tull and Rod Cannon, chair of the SHSU School of Music, will host this year's event, and all proceeds benefit music scholarships. Cannon said that music major enrollment for the past year reached 335 majors, an all-time high, with more increases expected next year. "This means more of a need for scholarship money," said Cannon. "The Fisher Tull Endowed Scholarship is given annually to the outstanding freshman music major and the endowment is supported in part by the proceeds from this tournament." Direct contributions to the scholarship fund are also being accepted. For more information, call Cannon at 936.294.3808.